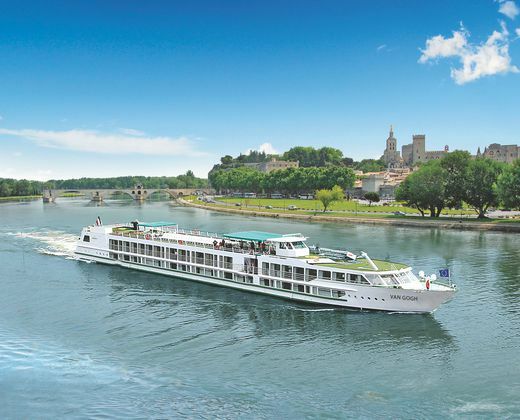 Cruise through picturesque Provence along the Saône and Rhône Rivers while you explore important World Heritage sites, charming villages and the wine regions of the Rhône Valley and Burgundy. 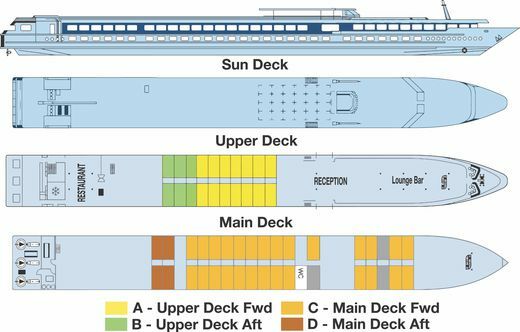 Expectations: River cruise that pulls into a pier for disembarkation. Morning, afternoon, or full-day excursions at a moderate pace. Standing and walking for long periods of time during city tours, museum visits, and/or outdoor activities. Walking over sometimes difficult terrain (e.g. cobblestones, city hills, stairs without handrails, the absence of elevators); some longer walks at wineries and to get to city centers where coaches are prohibited. Choice of excursions with varying activity expectations offered on some days. Depart the U.S. for Lyon, France. The charming MS Van Gogh represents an exciting new generation of ships sailing the rivers of Europe. Newly re-built and launched in 2018, this intimate ship has 54 premium staterooms accommodating 105 travelers. The ship offers passengers the highest level of service, safety, and comfort. The bright open restaurant accommodates all travelers at one convenient sitting with panoramic views of the passing scenery. Delight in refined French and international cuisine accompanied by fine regional wines. A welcoming lounge and bar provide a meeting place for shipboard leisure time and entertainment. On the Sun Deck, travelers can enjoy the outdoors as the ship sails to its next port. Staterooms and suites are well-appointed and its stylish décor features contemporary design and a palette of color that harmonizes with the quiet ambiance onboard. Accommodations feature a modern bathroom with shower and some have French open-air balconies. Wi-Fi service is available aboard ship. 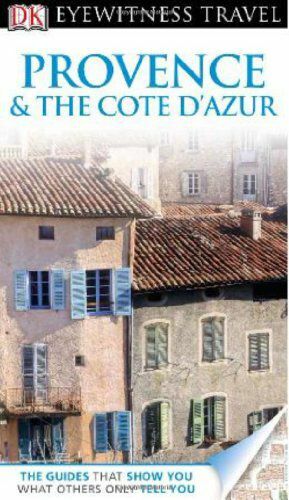 Packed with photographs, illustrations and detailed maps, Eyewitness Travel Guide: Provence and Cote d'Azur explores every facet that makes the region irresistible, from the glamorous resorts of the Riviera and St. Tropez to the hilltop village of Rousillon. 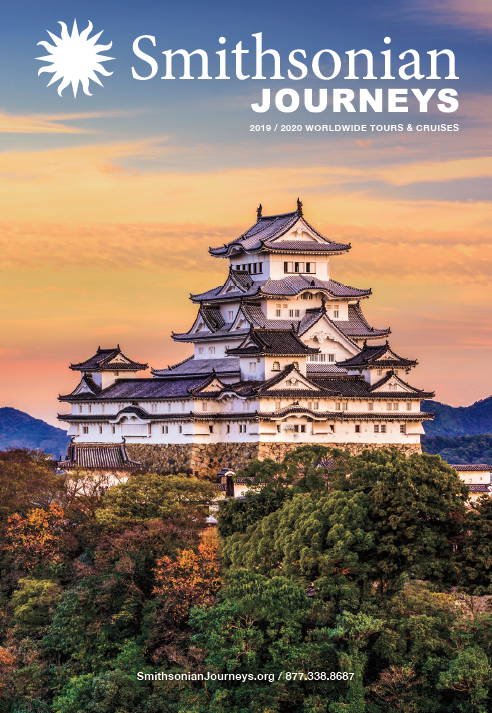 The guide provides all the insider tips every visitor needs from cookery courses to outdoor attractions and entertainment, as well as comprehensive listings of the best hotels, villas, resorts, restaurants and nightlife area by area for all budgets. You'll find 3D cutaways and floor-plans of all the major sites plus street-by-street maps of the major cities and towns. Experience the flavors of Provence with advice on local produce and classic dishes and rely on practical information in the fully updated survival section. 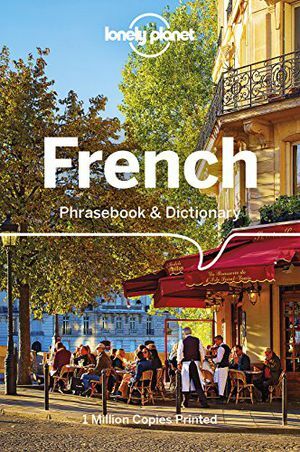 With up-to-date information on getting around by train, boat, bike and foot plus the sights, beaches, markets, festivals and resorts listed town by town, Eyewitness Travel Guide: Provence and Cote d'Azur is indispensable. Provence owes its name to Julius Caesar who described the region as the Province of Rome. 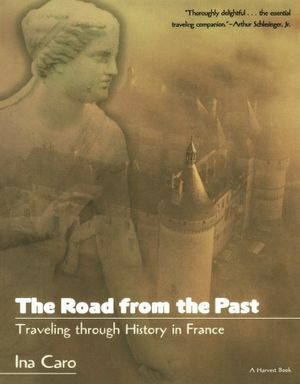 Edwin Mullins seeks out hidden traces of that ancient world along with the many spectacular monuments that today adorn the cities of Nimes, Arles, Vienne, and Orange. 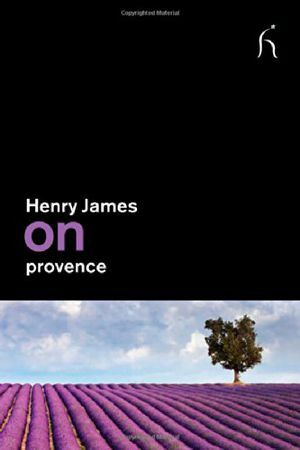 He tells the story of how the Romans came to invade Provence, how they stayed to colonize it, and how they transformed Provencal cities into imitations of Rome. His narrative also tells how the Emperor Constantine brought about the conversion of the Roman Empire to Christianity from his favorite city of Arles and how the Romans were eventually driven out by the Visigoths. 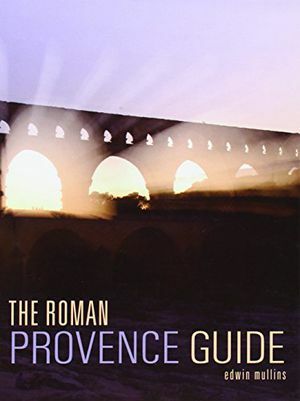 Roman Provence is also a guide to the principal sites in the region as well as those rarely visited, with separate chapters on various Roman achievements: triumphal arches, aqueducts, farming, city life, bridges and road-building, temples and shrines, theaters and amphitheaters. 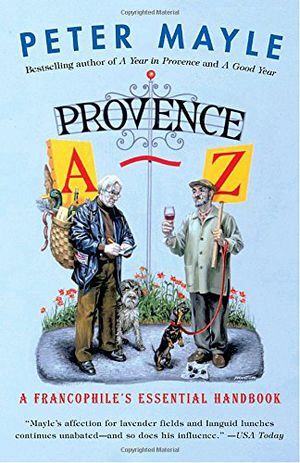 The ultimate “dictionary” for lovers of Provence: Peter Mayle's personal selection of the foods, customs and words he finds most fascinating, curious, delicious, or just plain fun.Though organized from A to Z, this is hardly a conventional work of reference. 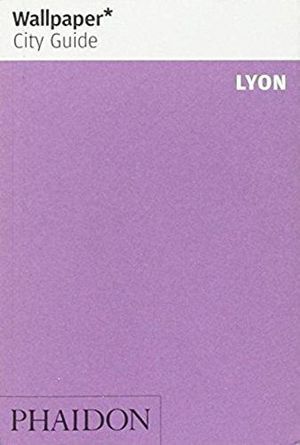 In more than 170 entries, Peter Mayle—bestselling author of A Year in Provence—writes about subjects as wide-ranging as architecture and zingue-zingue-zoun (in the local patois, a word meant to describe the sound of a violin). 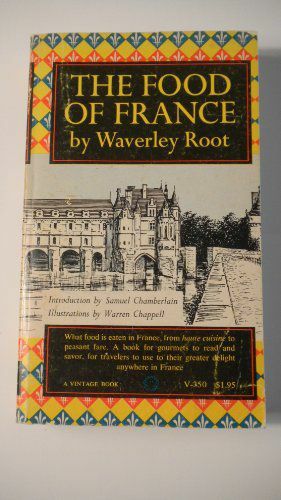 And, of course, he writes about food and drink: vin rosé, truffles, olives, melons, bouillabaisse, the cheese that killed a Roman emperor, even a cure for indigestion. 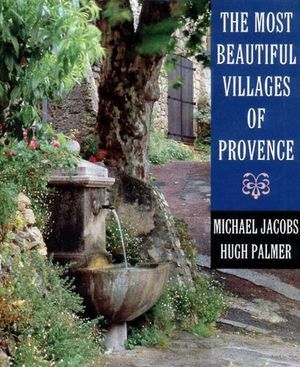 Provence A-Z is a delight for Peter Mayle's ever-growing audience and the perfect complement to any guidebook on Provence, or, for that matter, France. 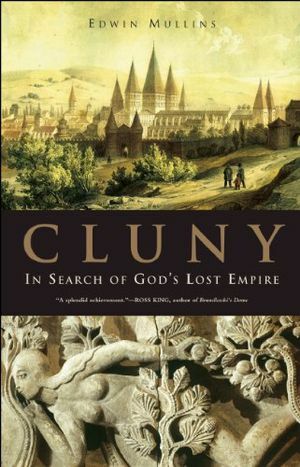 A monastery like no other, this is Cluny’s story from humble beginnings in the early Middle Ages, through centuries of immense wealth and sacred glory, to its decline, destroyed by the French Revolution. Much of Cluny’s enduring legacy lies in great cultural innovations sponsored by the abbey. 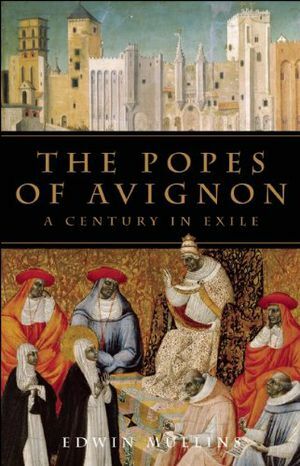 This narrative history masterfully weaves together the sweeping events surrounding the so-called Babylonian captivity” of the popes into the broader story of 14th-century Europe, a turbulent time of transition between Middle Ages and Renaissance when seven successive popes resided in Avignon in the south of France. Amazon Best Book of the Month, July 2014Journalist Maximillian Potter uncovers a fascinating plot to destroy the vines of La Romanée-Conti, Burgundy's finest and most expensive wine. In January 2010, Aubert de Villaine, the famed proprietor of the Domaine de la Romanée-Conti, the tiny, storied vineyard that produces the most expensive, exquisite wines in the world, received an anonymous note threatening the destruction of his priceless vines by poison-a crime that in the world of high-end wine is akin to murder-unless he paid a one million euro ransom. 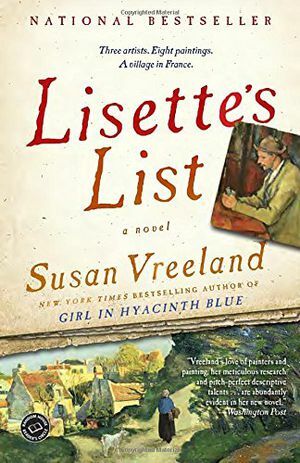 Villaine believed it to be a sick joke, but that proved a fatal miscalculation and the crime shocked this fabled region of France. The sinister story that Vanity Fair journalist Maximillian Potter uncovered would lead to a sting operation by some of France's top detectives, the primary suspect's suicide, and a dramatic investigation. This botanical crime threatened to destroy the fiercely traditional culture surrounding the world's greatest wine. 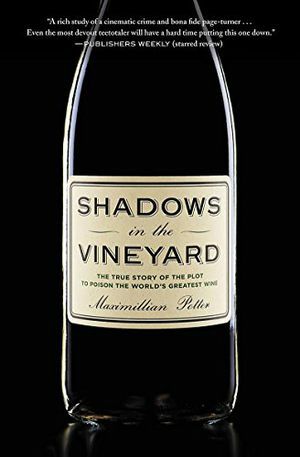 SHADOWS IN THE VINEYARD takes us deep into a captivating world full of fascinating characters, small-town French politics, an unforgettable narrative, and a local culture defined by the twinned veins of excess and vitality and the deep reverent attention to the land that runs through it. 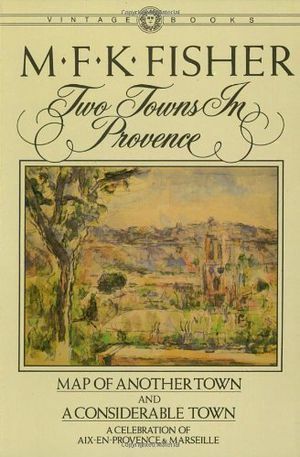 Lawrence Durrell, who was called one of the [twentieth] century’s great literary pyrotechnicians” (Kenneth McLeish, London Times), was also one of its most accomplished travel writers. Durrell lived in Provence for thirty years and was its leading literary expatriate long before others discovered that magical wedge of land. 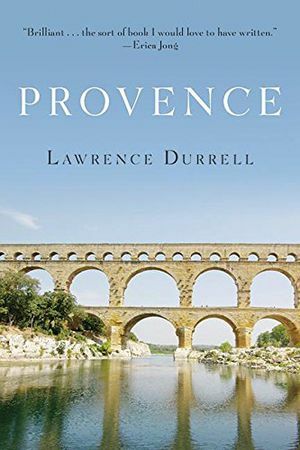 In this, his final book, he has left a dazzling testament that distills its essence and conveys its savors as no other work in the English language.Durrell’s Provence is saturated with the spirits of civilizations past. In the countryside, the marketplace, and among the people, he listens to  and conveys for us  echos of the battles of Roman generals like Caesar and Agrippa, the love of Petrarch for Laura, the debates of the medieval Courts of Love, and the lyrics of the troubadours. 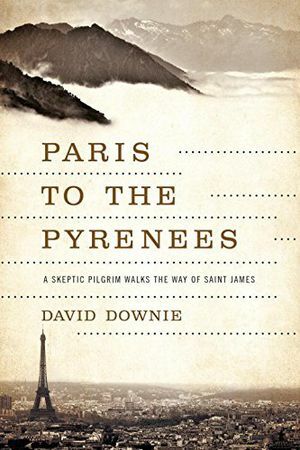 He relates the significance of ruins strewn across Provence, which for him is nothing less than the crucible where the European sensibility was forged, and he discusses such topics as bull worship, black magic, alchemy, the Provençal language, Buffalo Bill’s friendship with the poet Mistral, who was Provence’s Nobel laureate, the beauty of Arlesian women, and the game of boules. 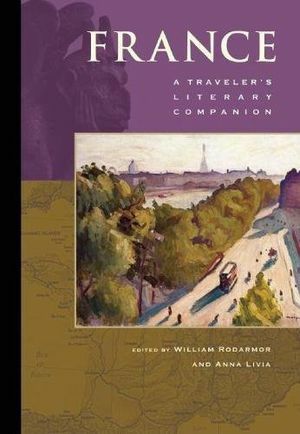 Provence is a monument to the author and to the region, and is essential reading for any traveler seeking to understand the spirit of the place. In the mid-1860s, grapevines in southeastern France inexplicably began to wither and die. Jules-Émile Planchon, a botanist from Montpellier, was sent to investigate. He discovered that the vine roots were covered in microscopic yellow insects. What they were and where they had come from was a mystery. The infestation advanced with the relentlessness of an invading army and within a few years had spread across Europe, from Portugal to the Crimea. The wine industry was on the brink of disaster. The French government offered a prize of three hundred thousand gold francs for a remedy. Planchon believed he had the answer and set out to prove it. 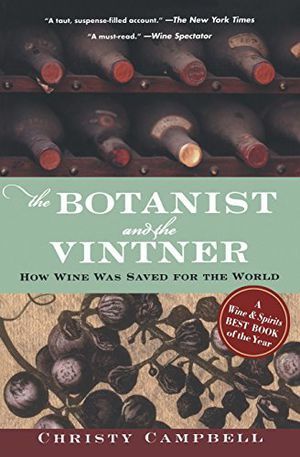 Gripping and intoxicating, The Botanist and the Vintner brings to life one of the most significant, though little-known, events in the history of wine.